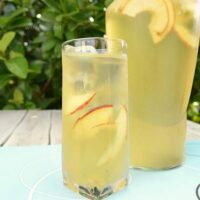 Apple and Ginger Cooler can be made in advance and is not only a delicious, refreshing drink, but also helps with heartburn (kid-friendly too!). This is such a convenient drink recipe. You can make the boiled part of the Apple and Ginger Cooler ahead of time, let cool, and refrigerate until you are ready to serve. The boiled liquid does not turn syrupy. But the flavors mingle and the longer it stands, after boiling, the better. Only strain right before serving for the best flavor. I do not always use Apple Juice, freshly juiced using my Juicer. If I do not have Apples on hand, which happens very often, I use 100% , no additives or sugar added, Apple Juice. Fortunately we have two or three brands which are fantastic to use. 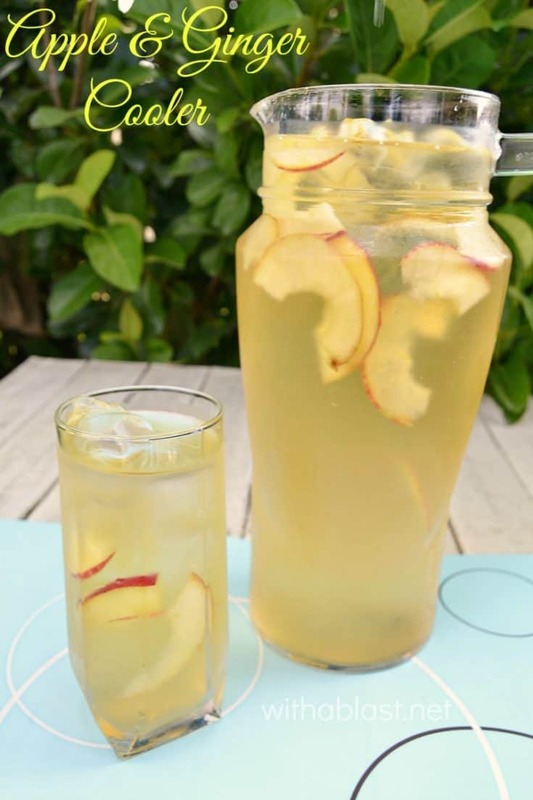 If you like your drink a little sweeter, add some more Honey, especially if you use fresh Apples which are not that sweet. There is no substitute for the Ginger, only freshly sliced Ginger will do in this recipe. The Apple and Ginger Cooler also helps me not getting any heartburn (due to the added Ginger), as many other fruit juices, whether freshly juiced or store-bought, might do. 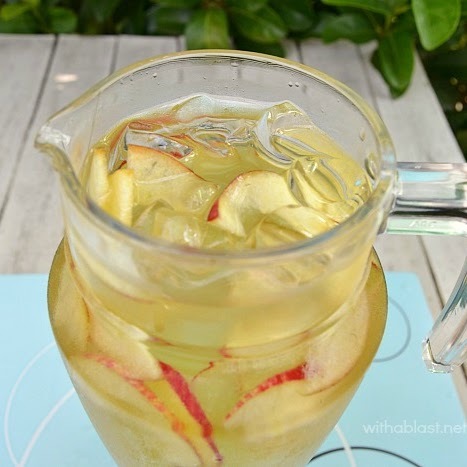 Instead of using plain ice-cubes, you might want to freeze some Apple Juice. This will prevent to not water down the drink too much. I am a last minute kind of person, and usually forgets this part. Wow this sounds so refreshing and delicious! Perfect for the sunny spring weather! Pinning! MM this sounds good! I used to hate ginger but had to start forcing myself to eat it due to some nausea a while back and now I really love the taste! This sounds so refreshing! I really need to get some fresh ginger…something I've never bought before!